For a complete listing of the art program for each grade, download our Program of Study. In addition to our robust arts curriculum, there are many opportunities for students to explore the arts. How many schools have an on-campus art gallery that features area artists' work throughout the year? The Middle School talent show and the Upper School's Muses at Bay showcase both student and faculty talent. A testament to the motivation of the students at North Cross, a number of students choose to participate in outside artistic ventures, winning local art show and film awards, participating in local theatrical productions and competing in dance and instrumental competitions. Because art is integrated into—and required at—every grade level, students learn to appreciate the many ways in which they can express their creativity. Even our younger students get bitten by the Broadway Bug and their high energy and eager attitudes make them the perfect show stoppers. The Lower School Musical takes the stage in the fall. Students in grades 3–5 participate, and they're often guided by Middle and Upper School students who serve as the technical crew, stage managers, and/or choreographers. 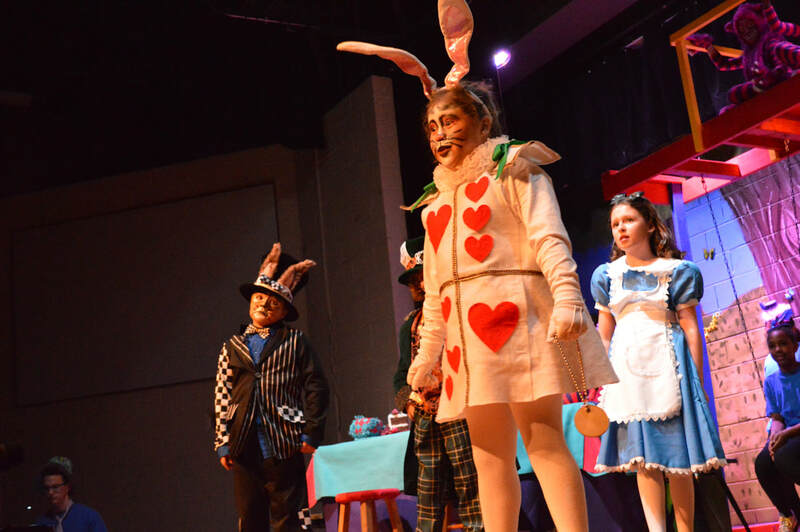 Past productions include Cinderella, and Alice in Wonderland, Jr.The approach, which is playful and group-oriented, introduces younger students to the process of bringing a performance to the stage from rehearsals to curtain calls. ​The Winter Play is performed each year by students of the Upper School. Each year a Shakespearean or other classic play is selected, and students are invited to audition for roles. Many other students are involved in the production of the play. This performance gives the students involved an opportunity to bring a literary work out of the pages of a book and onto the stage, for which it was actually intended. The entire school community benefits from seeing a world-class play performed on our own stage by our own students. Most recently, audiences were stunned by the students' production of Henry V.
The Spring Musical's cast is comprised of Middle and Upper Schoolers. Many other students are involved in the production as crew members. What the students bring to life through song, dance, and acting is a sight to be seen. The entire community has the opportunity to see a Broadway musical brought to life by North Cross School. Recent productions include Aida: School Edition, and Oklahoma! For our Early Childhood Program students creative projects are a mainstay of their curriculum and you'll often see smocked children painting their Thanksgiving turkey or using a straw to blow paint "Thing One's" blue hair. In the Lower School, students are introduced to the elements of art and principles of design during weekly art classes. Students use a variety of media including acrylics, clay, colored pencil, pastels, and watercolor. At each grade level, the curriculum incorporates age-appropriate art history and introduces the students to some of “The Masters” and their works. Once a student reaches the seventh grade, the curriculum broadens to include a basic introduction to the birth of art “–isms,” from the 17th and 18th century Neoclassic to Post-Impressionistic periods. Perhaps the most exciting part of this class is their participation in the student art show at the end of the school year, which includes art from all studio and graphic design classes from grade 7 through grade 12. Students then progress to a more project-based syllabus where their study of contemporary artists of the 19th–21st centuries allow stepping stones for experimentation in different media for sculpture and three-dimensional pieces. In the Upper School classes become more medium-specific. 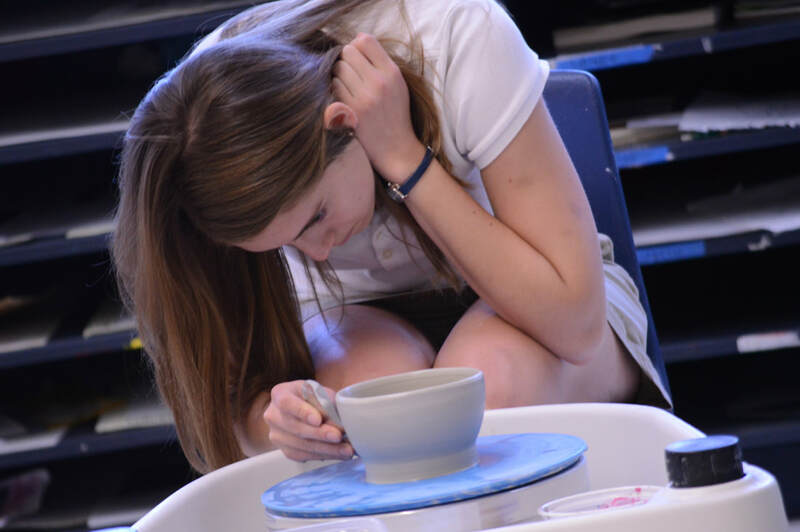 Courses such as painting or sculpture prepare burgeoning artists for more advanced classes such as Portfolio or our AP Studio Art. In addition to traditional studio art classes, North Cross offers digital art classes including graphic design, web and animation design and film making. 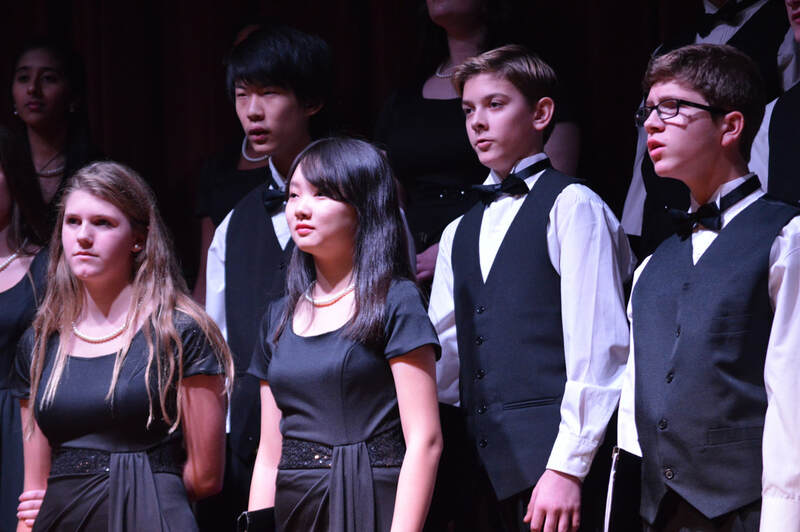 North Cross School provides a solid foundation in vocal and instrumental music for students in the Lower School. ECP students begin with two music lessons per week and learn to develop a sense of rhythm with their hands and feet, and sing a variety of simple songs alone and with a group. Students in first grade learn note reading and rhythm counting and perform in the holiday concert and Dinosaur Program. Second grade students gain exposure to musical cultures and perform in the holiday concert, an African Program, and a steel drum concert. Students in third grade receive ukulele and recorder instruction. Fourth grade students can choose between beginning band and chorus instruction twice a week which they'll continue in fifth grade at an increased time commitment or three days per week. Our chorale and band competitors have done quite well in recent years. In 2017, 11 out of 12 who auditioned for Concert or Symphonic Band received All District rankings. In Chorus, 22 members (our highest number yet) made it into the treble or mixed All District chorus. This year, all of our students who auditioned in the All District chorus were accepted. Eighth through twelfth graders who wish to continue in chorus or band continue in either Chorale or Symphonic Band. Here their skills as musicians develop further. Students are exposed to more music theory, performance and competition—not to mention more difficult arrangements.